The Miami International Airport is one of the largest airline hubs in the country, due to its proximity to tourist attractions and Latin American populations, as well as its perfect location for connecting flights between North America, Latin America and Europe. Furthermore, it is ranked the world's 23rd busiest airport by passenger traffic and the nation's 10th busiest airport by annual passenger count. It is no wonder that arriving in Miami can be stressful, and yet having reliable Miami airport car rental can make the start of your trip go much more smoothly. This is where Family Auto Rental comes in! Need A Car Rental for your Visit to Miami? 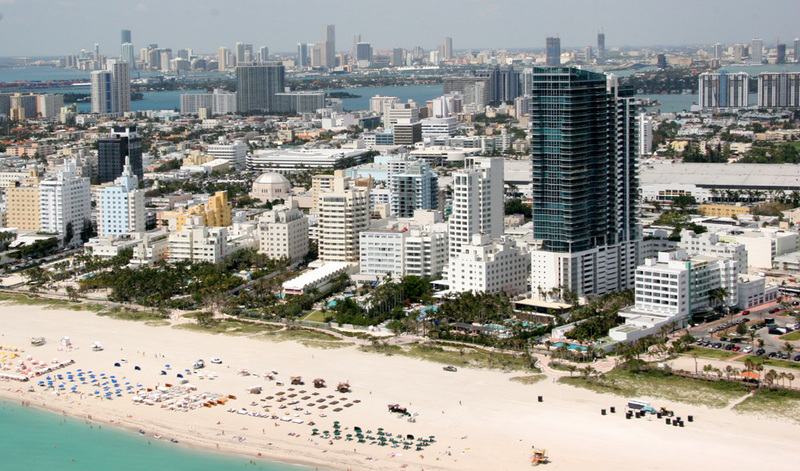 Miami is a beautiful tourist destinations, featuring numerous tourist attractions, breathtaking beaches and summer sunshine year-round. It is also a prominent location for a company headquarters, as Miami is one of the world's centers for commerce and international trade. Whether you are a family of five on your way to the ultimate vacation destination, or a representative of your company travelling to Miami with a packed meeting schedule, not obtaining reliable transportation is out of the question: Navigating complex bus routes can cause a major headache and lengthy walks in the south Florida heat is downright dangerous. The solution? Our one-stop airport car rental offers you complete freedom to not only see and do everything on your itinerary but also have a great time. With our low prices, quick reservation and unsurpassed customer service, you can count on us 100%. As you prepare for your arrival into Miami, we welcome you to browse through our vast selection of rental cars and choose one that best fits your individual purposes. From economy and compact sedans to luxury SUV's and exotic convertibles -Â complete with tons of accessories like GPS systems and child booster seats - rest assured that we have a top-quality vehicle for you! Staying for an entire month? Not a problem - we offer long-term rentals as well as special discounts to eliminate any financial strain. Miami airport car rental has never been easier than with Family Auto Rental: All it takes is a 60-second online reservation for a safe and reliable mode of transportation to be waiting for you upon your arrival. If you have any questions about our fleet or services, please do not hesitate to call us at (305) 638-9400 or complete our online contact form today. We look forward to guiding you through a quick and efficient airport car rental!